Lifestyle is India's most preferred fashion destination for the latest trends. Part of Dubai based retail and hospitality conglomerate - The Landmark Group, Lifestyle brings multiple categories including men, women and kids’ apparel, footwear, handbags, fashion accessories and beauty under the convenience of a single roof. 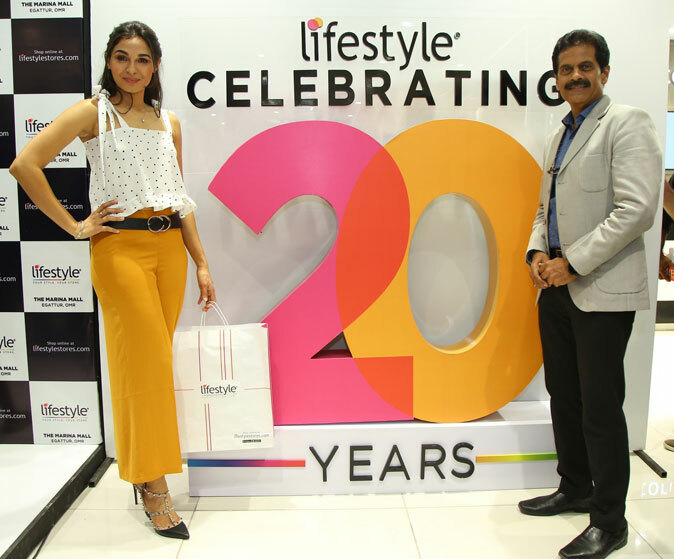 Lifestyle provides seamless and hassle-free shopping, offering leading national and international brands along with the convenience of a true omni-channel experience with its online store lifestylestores.com. The company is recipient of numerous awards and accolades, including Most Admired Fashion Retail Destination of the Year at Images Fashion Awards for 5 consecutive years; No. 1 India’s Best Company to Work for in the retail industry for 2 consecutive years and Top 10 Best companies to Work for in India in 2015 - Great Places to Work Institute®. Currently, Lifestyle is present across 77 stores, 44 cities and delivers to over 26000 pin codes. Lifestyle is a true omni-channel player with its online store lifestylestores.com where customers can shop from the convenience of their home.